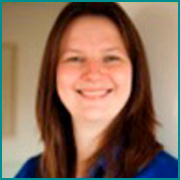 Lucy Fallon is the Registered Manager and has many years' experience in leading positive support teams. Lucy has over 16 years' experience working managing and coordinating residential and supported services for people with ABI, and has a MSc. in Brain Injury Rehabilitation. 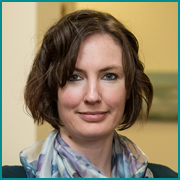 Lucy has a passion for developing appropriate and creative community based support for post -injury and she is the Derbyshire representative for the East Midlands Acquired Brain injury forum (EMABIF). 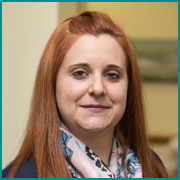 Nicola Brailsford is an experienced Care Manager working alongside Lucy. She has supported many individuals with complex physical, cognitive and sensory needs. She is respected for her inclusive, gentle manner and organisational skills. She supports the team to deliver individually focussed and sensitive support, rehabilitation and to maintain our strong values. Sian Jones and Dulce Alvarez are our Assistant Home Managers who coordinate the Rehabilitation Support Workers, and ensure a smooth running and great communication within the service on a daily basis. Their positive ‘can do’ approach, creates the environment for both individuals support and staff to develop their skills and protentional. Becky Bailey is our Supported Living Services Team Leader. She supports and helps develop incredibly person-centred and creative outreach support for people in their own homes and broader community. She coordinates and inspires the Supported Living Team to deliver consistently exceptional support. Sam Endecott has a split role as both Administrating and Health and Safety auditing. His efficiency, good company and dry sense of humour is appreciated by all at Clifton Court. Dominic Hurley is our ‘Peer Support Worker’, he supports the Occupational Therapist to develop rehabilitative support groups and interesting activities from ‘spinning/ exercise classes’, film making and debating groups. He is available to talk to individuals through their life changes post injury. He is known for his charity work particularly for brain injury charities. Paul Constable is the Managing Director. Paul is a nurse by background, with 30 years experience of working with people with ABI and other neurological conditions. Paul maintains clinical governance and is the clinical nurse lead for Ariya. Paul has a wealth of experience managing and developing high quality person-centred residential and supported living services across the UK. Paul has worked in senior management roles at specialist care providers, Voyage Care, Leonard Cheshire, Tracscare and at the Christchurch Group. Dr Mike Smith is a Clinical Neuropsychologist. Mike has worked in neurorehabilitation for the last 15 years. After qualifying as a clinical psychologist he worked in a regional neurorehabilitation unit, a community rehabilitation team and also provided neuropsychological input to a stroke unit. While working for the Lancashire Teaching Hospitals NHS Foundation Trust he headed a Waiting List Initiative team that successfully reduced the waiting time for neuropsychology assessment. 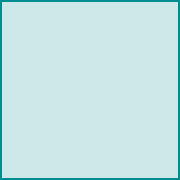 Since 2009 he has worked in private practice providing neuropsychological rehabilitation for brain injury survivors in the community, and very occasionally undertaking medicolegal assessments. 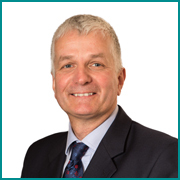 Mike's work is peer supervised by a Consultant Clinical Neuropsychologist. Dr David Todd is a Clinical Neuropsychologist. 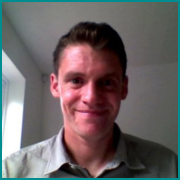 Whilst on his final specialist placement in his clinical psychology training in 2007, Dave met and was supervised by Dr Mike Smith, at the Neurological Rehabilitation Unit in Preston. Dave went on to complete his Doctorate in Clinical Psychology from Lancaster University in 2008. Following his qualification as a clinical psychologist, he has worked within the NHS, charitable and private sectors, before joining Mike and his colleagues at Smith Consultancy Limited in 2012. In 2012, Dave also completed his Postgraduate Diploma in Clinical Neuropsychology at Glasgow University. Dave is interested in contributing to publications and research on psychological approaches within neurological settings, for example, in 2014, he co-edited a book on 'Narrative approaches to brain injury'. Chris Short is Ariya's dynamic and personable Occupational Therapist (OT). Appreciated for his person-focused, creative sessions and his ability to make rehabilitation meaningful and engaging. Chris previously worked for Headway Rotherham, and supported over 100 affected families in the Rotherham area. He completed a two year post-grad Diploma in Brain Injury Rehabilitation Studies before qualifying with an MSc OT in 2012. Since qualifying Chris has worked in both private and NHS positions including three and a half years with JSP Sheffield and NCMUK. Anna Wilkinson is the Managing Director of More Rehab Ltd, as well as a partner of The White House Medico-Legal Services. She is a Senior Chartered and Health Professional Council Registered Physiotherapist with a special interest in rehabilitation of neurological and orthopaedic injuries. Her experience has focused on Rehabilitation of patients with complex neurological and complex orthpaedic injuries. Anna has been involved in research projects for the University, she’s recently completed and gained her Msc in Neurological Physiotherapy. She presents at National & International Neurology Conferences. 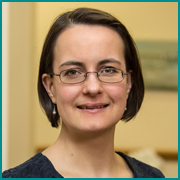 Rebecca Bancroft is a Senior Chartered and Health Professional Council Registered Physiotherapist with a special interest in rehabilitation of neurological conditions. 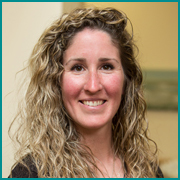 Rebecca now offers her expertise for the benefit of the More Rehab patients. She is a valuable member of our team with over twelve years experience in Neurological Rehabilitation. 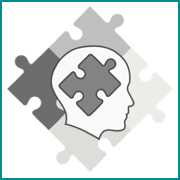 Bespoke neuro-psychiatry input is provided by Dr. Bruce Moore. Specialist assessment and/or ongoing support is available for dietetic, nutritional or assisted technology needs if required. Amy Hartley MSc., MHPC, MCSP. 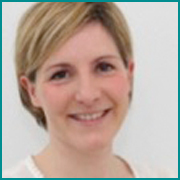 Amy qualified in 2007 and is a Senior Chartered neuro Physiotherapist and has recently completed her Master in Clinical research. Amy worked in the NHS for nine years across an variety of areas including community and acte stroke, rehabilitation and neuro outpatients. Amy is known for her cheerful confident ‘can do’ approach, professionalism and warm friendly team working. Kieran Shukla is our Psychology Assistant and holds a post graduate degree in Clinical Cognitive Neuroscience. His MSc dissertation was on the effects of moderate intensity exercise on mild TBI. 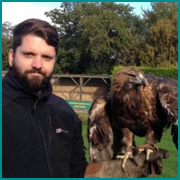 He supports individuals to utilise strategies developed with the Neuro Psychologists and supports the staff team to implement programmes and works closely with the other therapists for a creative interdisciplinary approach. Kieran has developed person-centred psychology approaches within the service leading to constructive, peer support and warm therapeutic environment. 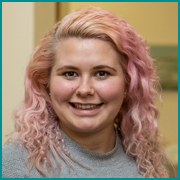 Kayleigh Smith is our Occupational Therapy Assistant and supports individuals to keep on track with their functional goals under the guidence of the neuro OT. 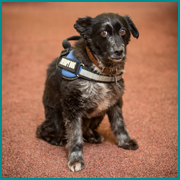 Buck is our pet therapy dog and knows what it is like to have a disability as has long term restricted mobility in his hind legs. However, he likes to give people in Clifton Court, visitors the opportunity for quiet canine attention. All altruistic of course, but is happy for the odd dog biscuit treat. Ariya Neuro Care was set up in response to the lack of specialist proactive community provision for those with an acquired brain injury. Ariya understands the need for specialist support workers who are equipped to respond to the complexities of cognitive, physical and emotional needs that can arise from neurological conditions. The founders of Ariya Neuro Care, sought to develop a level of service delivery that recognised the people we support as each having skills and potential. We recognise that each person's life is unique and extraordinary and so the support they and their relatives require has to be bespoke. We understand that and acquired brain injury has a massive impact on the individual's whole life and social network, and so through inclusion and creative teamwork Ariya seeks to bring out the best in people and support the family through their life changes. We aim to run the Ariya Neuro Care with integrity, a strong ethical basis and employ staff that uphold our principles of honesty, kindness and positivity.